You may know very famous masterpiece of Vincent Van Gogh. I saw this artwork when I visited New York city. When I found this, I couldn’t move my body. I was standing like a statue and would not walk. 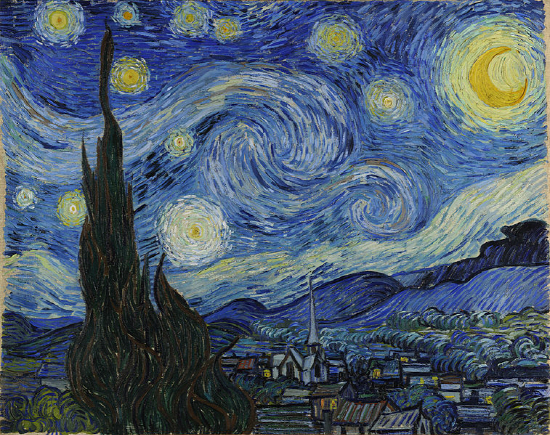 When I close my eyes, I saw stars and night scene like I saw that painting yesterday. It was once-in-a-lifetime moment to me. Few days ago, I experienced same moment again in Gyeongbokgung Palace, Seoul. It was an evening in May 20. I went to Gyeongbokgung Palace, main royal palace during the Joseon Dynasty (1392-1910) with my American friend. The palace was opened till 10 pm. It was special entrance period for only 4 days from May 17 to 20. Before I buy an entrance ticket, it was still late afternoon. Many people gathered and were standing in a line to buy tickets. I was surprised of numbers of people. I walk into Heungnyemun Gate to watch special performance which was scheduled at 8pm. After I was passing by Geunjeongjeon Hall, I reached the stage. Geunjeongjeon Hall is the place where the King greeted envoys from other countries and had official meetings with governmental officers. I once again was surprised by the numbers of waiting people in front of stage. I and my friends found small place to seat. The special performance was composed of traditional or royal music orchestra. Everything, instruments, music and dances, in the performance were new and unique to me. I felt like I just did time travel and am in the palace of Joseon Dynasty. 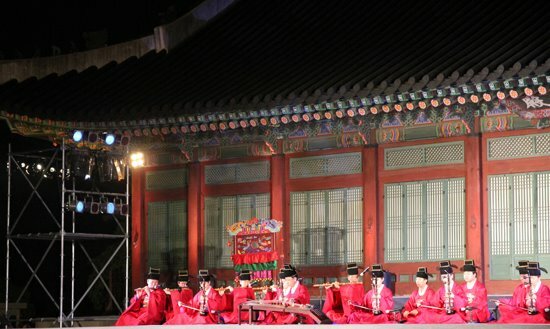 If you visit palaces in Seoul, check the schedules of performance from the website of palaces. 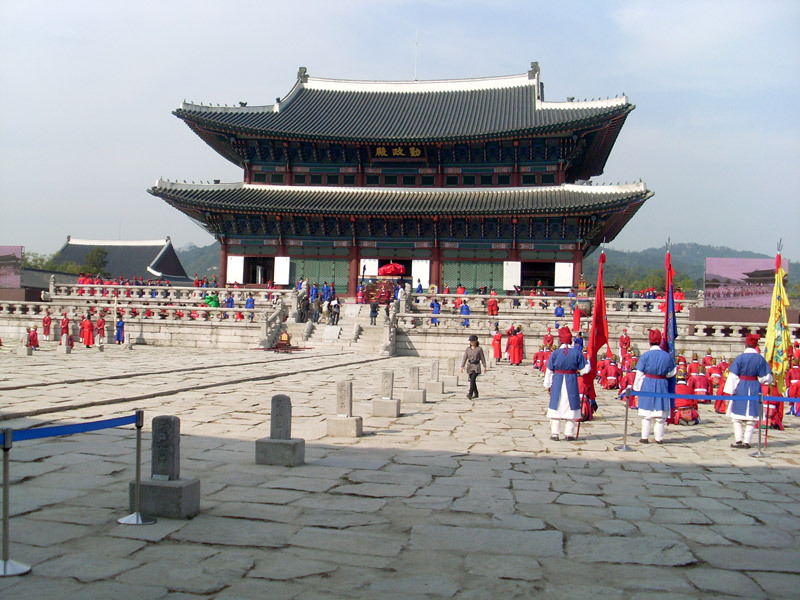 Buy one ticket and visit 4 palaces and Jongmyo for a month! 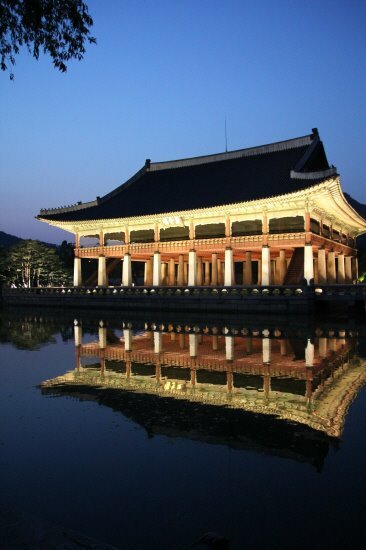 All you need to do is asking for 통합관람권(Tonghabgwanramgwon) at ticket booth of 4 palaces including Gyeongbokgung, Deoksugung, Changdeokgung and Changgyeonggung and Jongmyo. If the clerk doesn’t understand your Korean pronunciation, explain about the tickets.